Yamaha's leadership in advanced engineering, production and marketing of high quality power sports products, has helped its golf cars and utility vehicles earn a reputation as the most durable and lowest-maintenance vehicles in the industry. 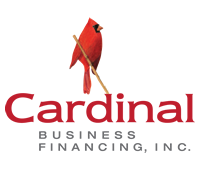 Cardinal provides financing alternatives for the golf industry through equipment leasing(turf maintenance, cars, irrigation systems, etc.) & working capital loans. We are financing consultants for your equipment acquisitions. Club Car is committed to supporting today's owners and helping them operate more efficient and successful facilities. The Solorider Adaptive golf cart is a single rider cart that enables persons of limited mobility to play golf. Cart features a swivel standing seat. Headquartered in Santa Fe Springs, Calif., Trojan’s operations include four ISO 9001:2015 certified manufacturing plants in California and Georgia, two advanced research and development centers dedicated exclusively to deep-cycle batteries.